It's time you got out of your own way and found sales success! Scott Fishman's The Sell Smarter Collection is full of tactical insights designed to augment your sales skillset and increase your earning potential. All three of the included books contain battle-tested advice collected from Scott's decades as a top sales professional. Each chapter shows you how to approach the sale conscientiously while still maintaining your integrity and reputation. You don't have to have an inflated ego to inflate your pipeline. In Sell Smarter: Seven Simple Strategies for Sales Success, you get seven results-oriented tactics each with its own challenging and fun homework assignment. Each assignment is specially designed to get you on the path to acquiring more customers and increasing your bottom line in a matter of minutes. Next, you get Sell Even Smarter: Seven More Simple Strategies for Sales Success, which turns up the heat and takes you to the next level with homework assignments geared toward getting you to think more like a business owner and keeping your eye on the bottom line. Last, but not least, you get Sell Smartest: Optimize Your Mindset for Sales Success. Mindset is key, and Scott shows you how to get your mind right so you can keep your sales game tight. The Sell Smarter Collection will take your sales game to the next level. Are you ready? 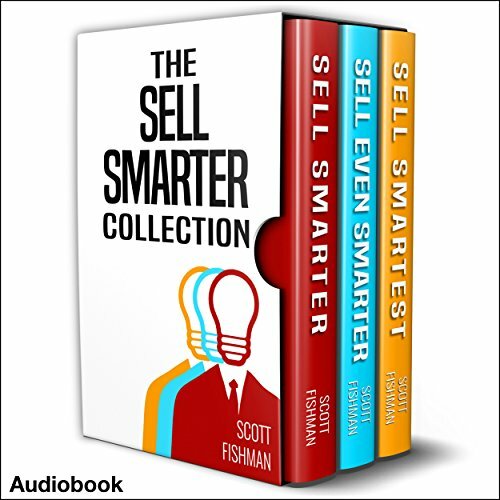 Listen to The Sell Smarter Collection now.